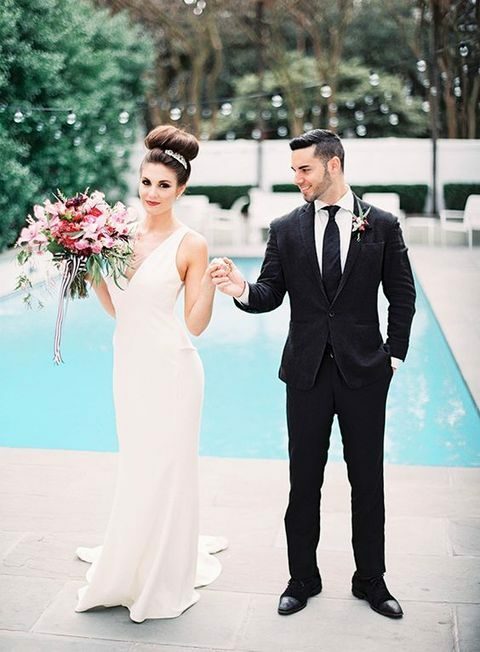 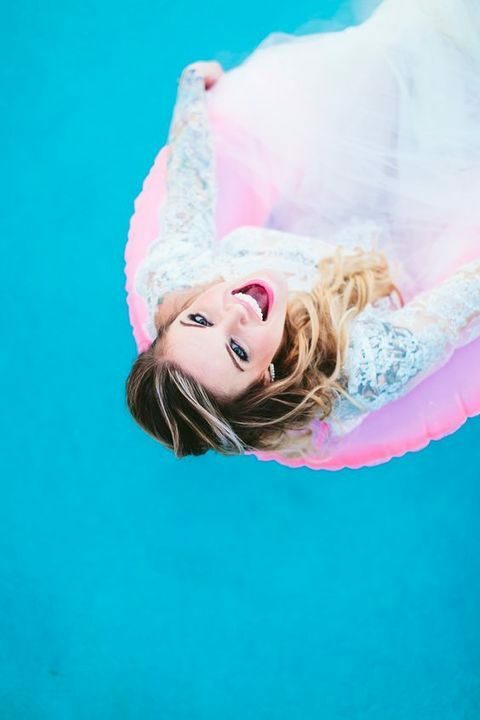 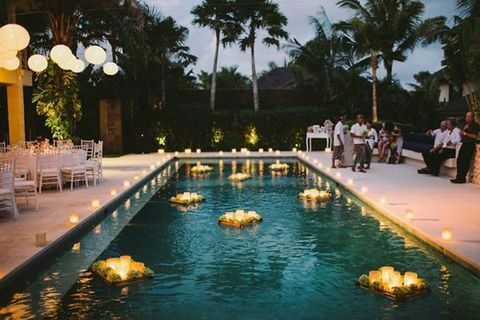 Poolside weddings are usually tropical or just southern ones, when you want to add a touch of breeze and sun flecks to your big day. 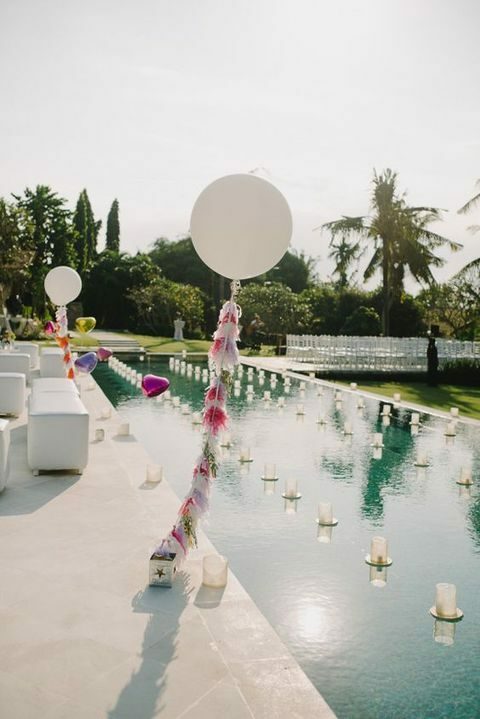 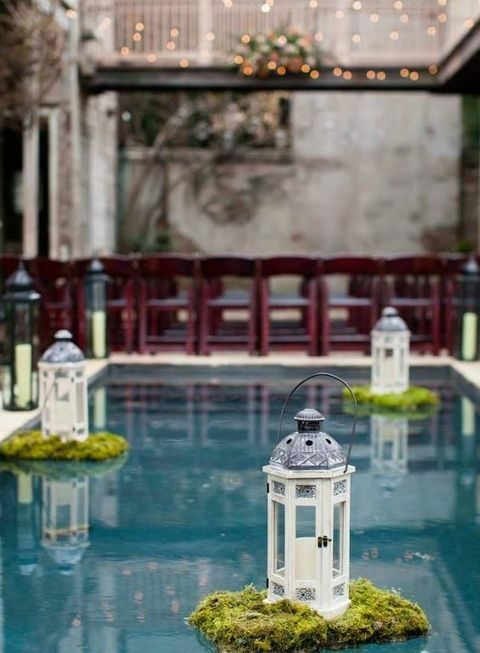 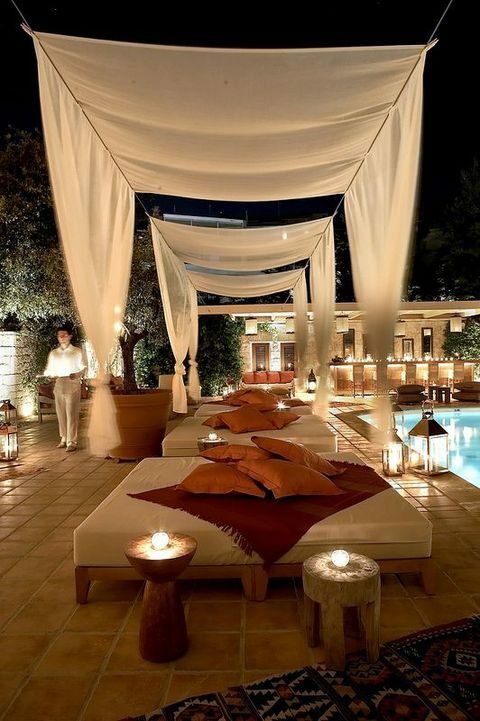 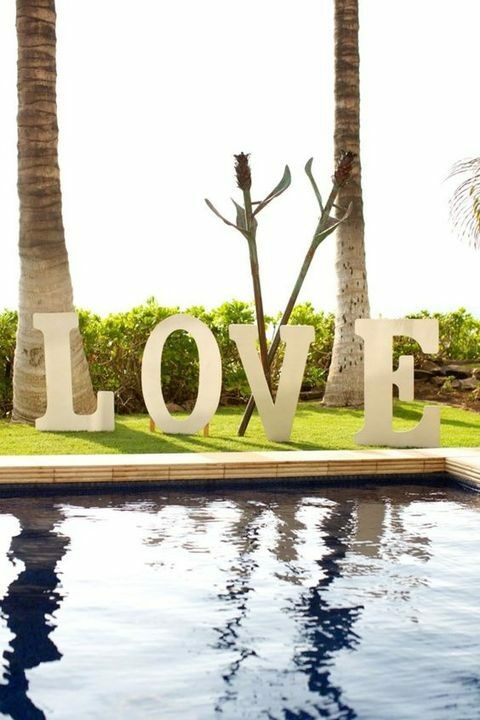 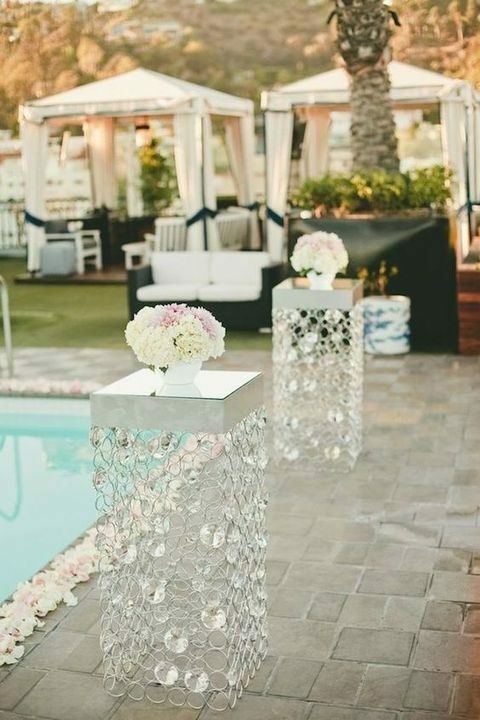 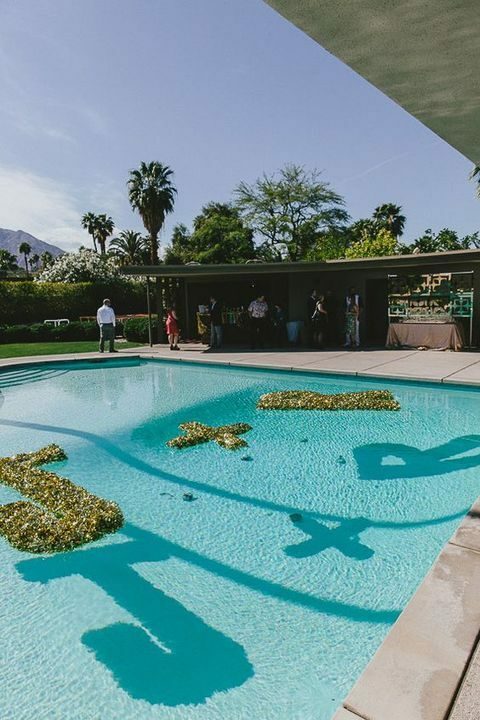 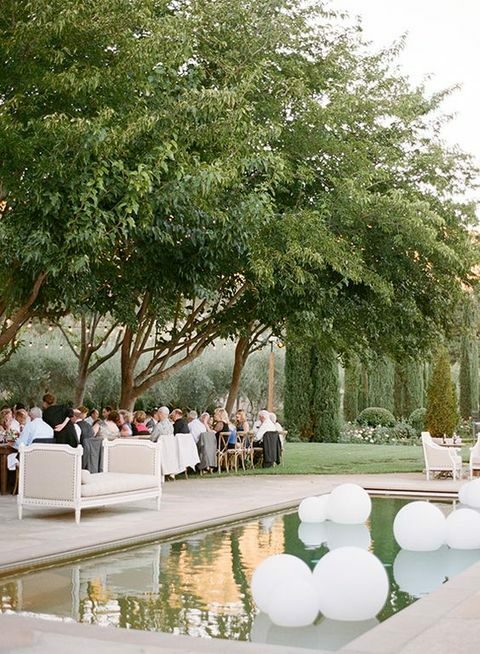 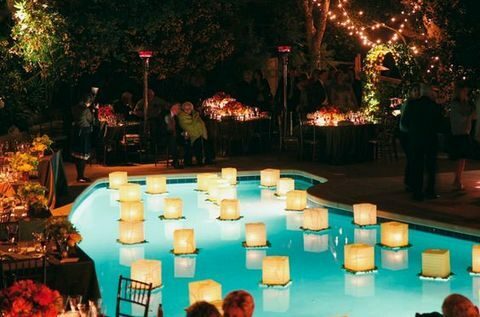 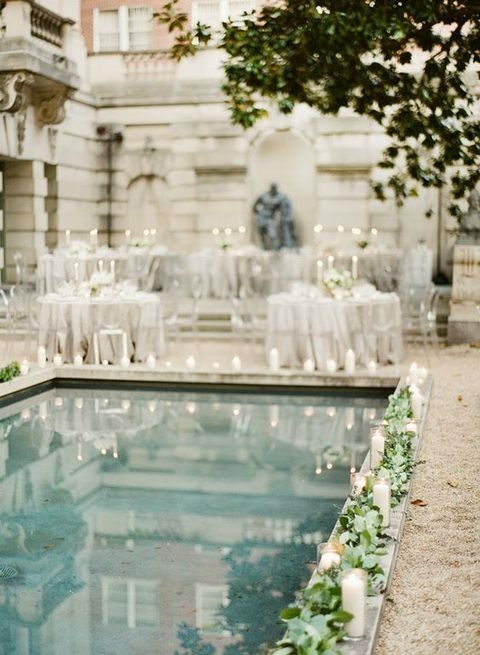 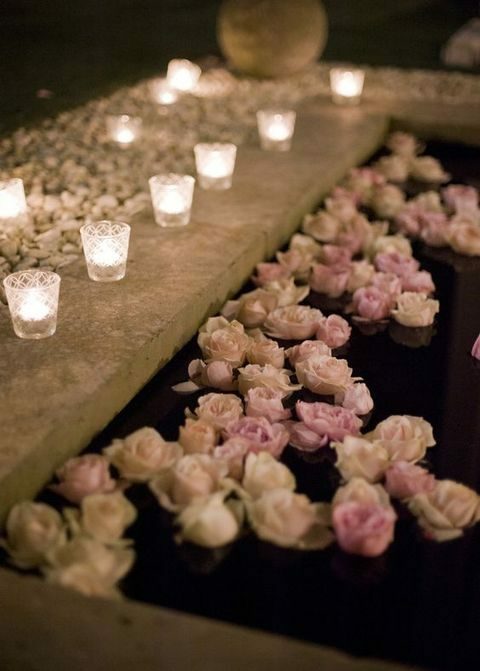 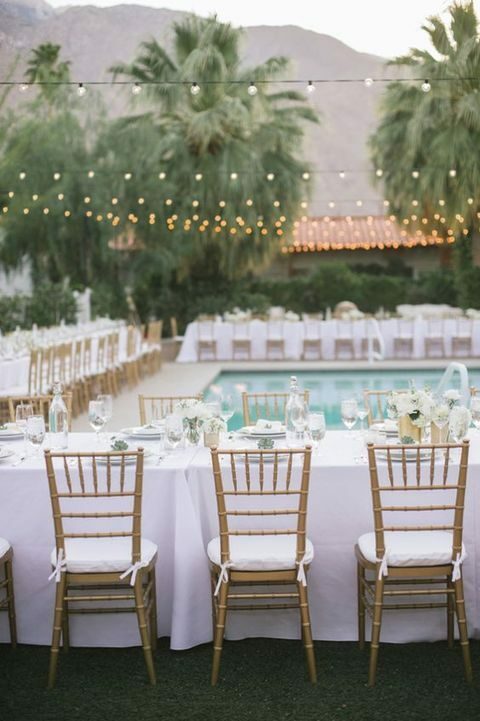 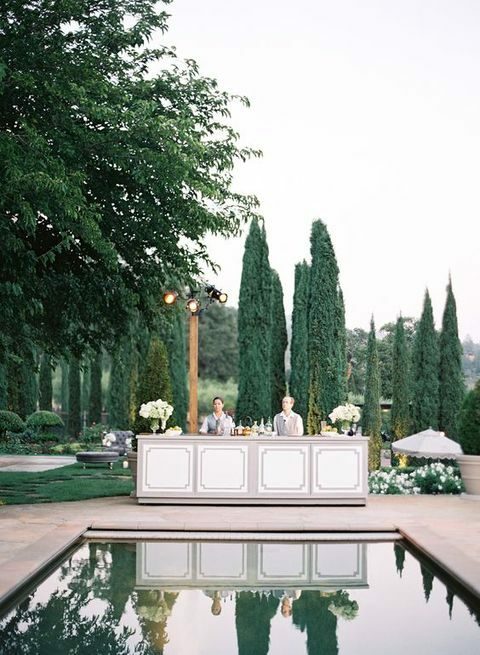 First of all, incorporate your pool right into your wedding décor: decorate it with flowers, lanterns, floating candles and even your monograms. 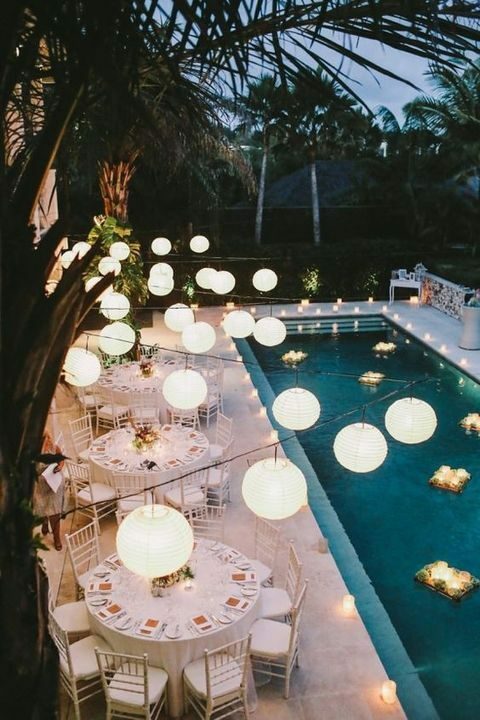 Here the type of décor is up to you, you can choose one or mix several of them. 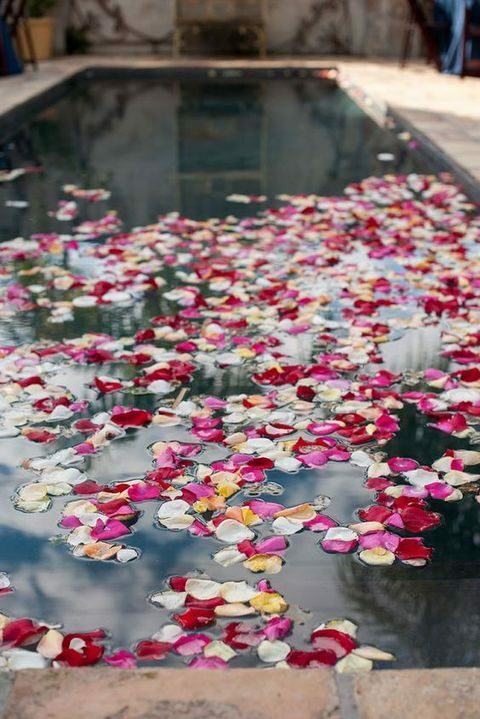 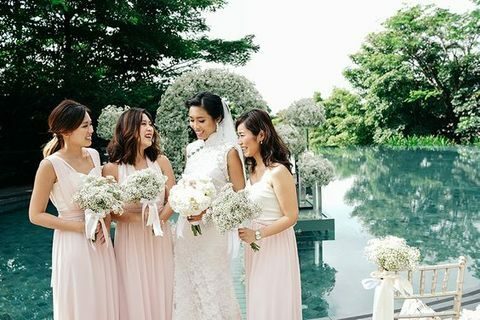 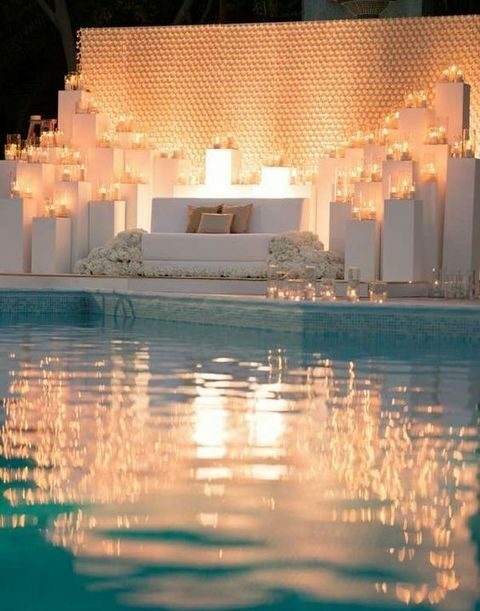 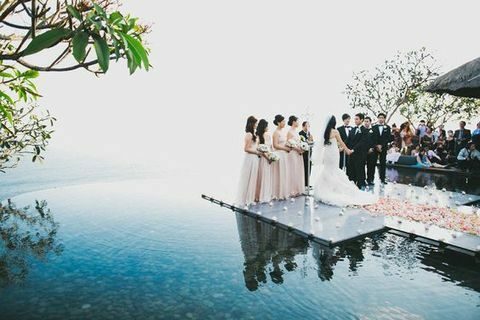 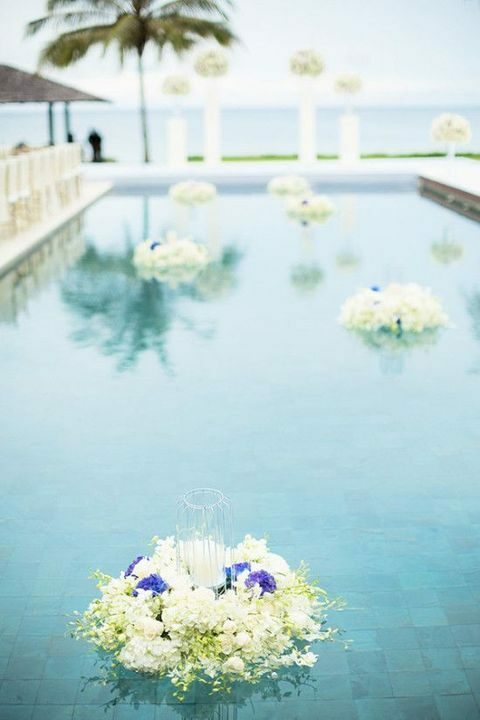 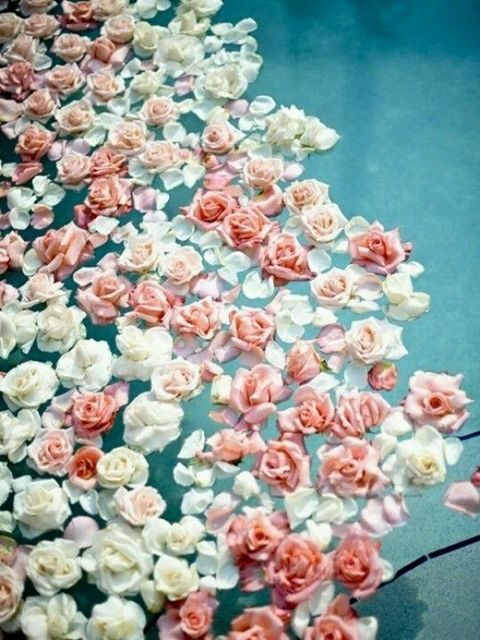 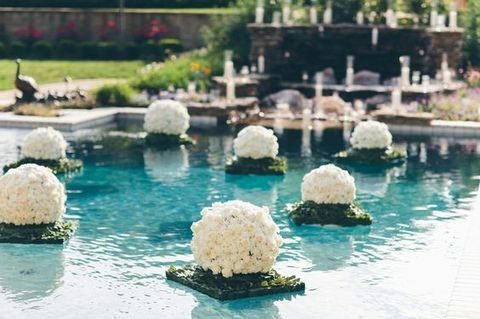 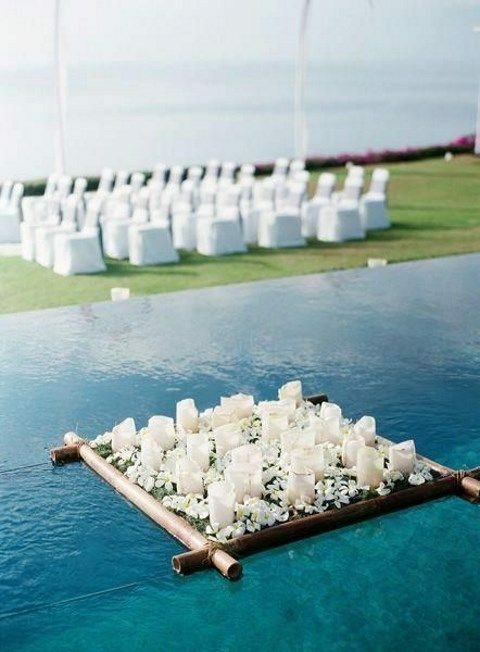 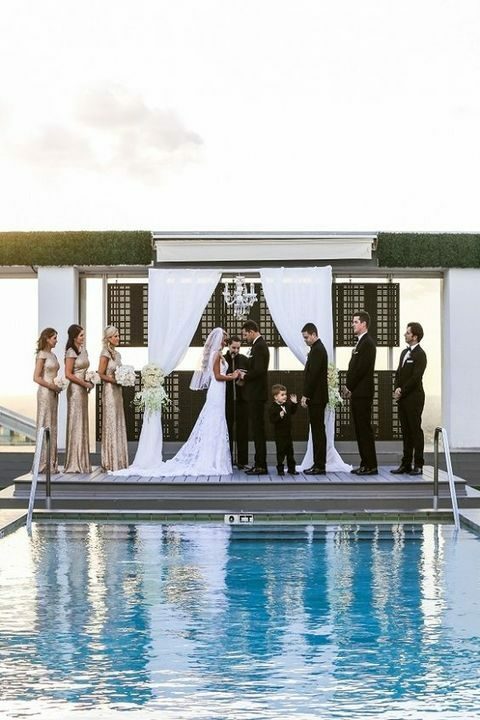 Organize your reception and ceremony space around the pool so that everyone had enough space, and if it’s a spectacular pool with lots of petals, you can get married in front of it. 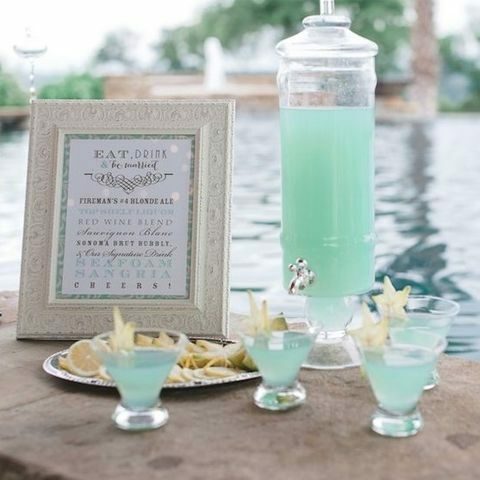 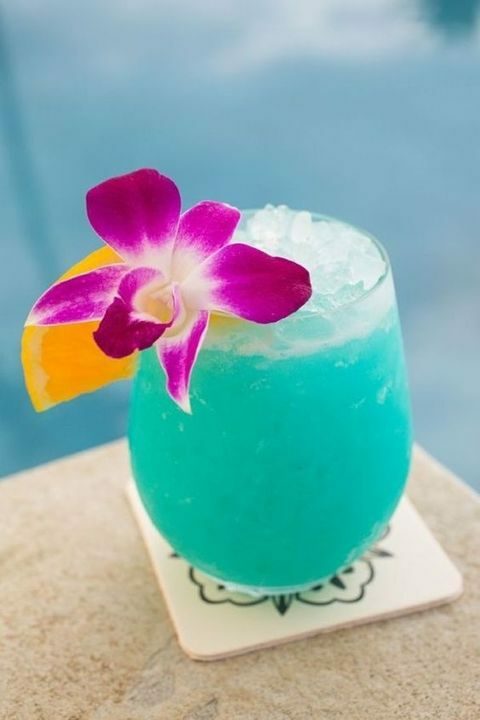 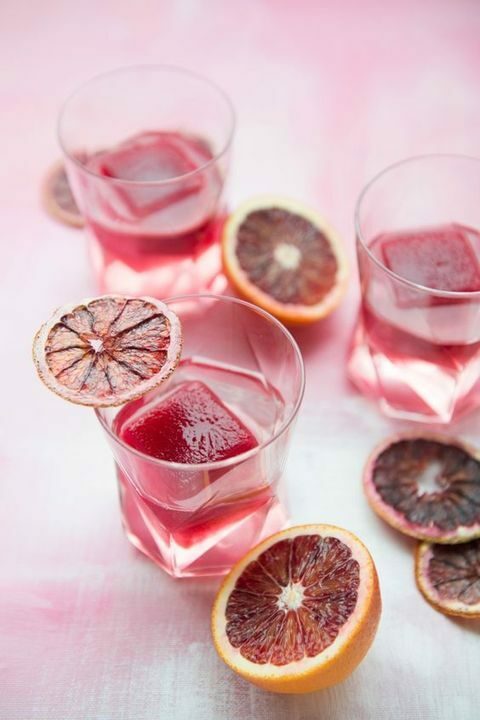 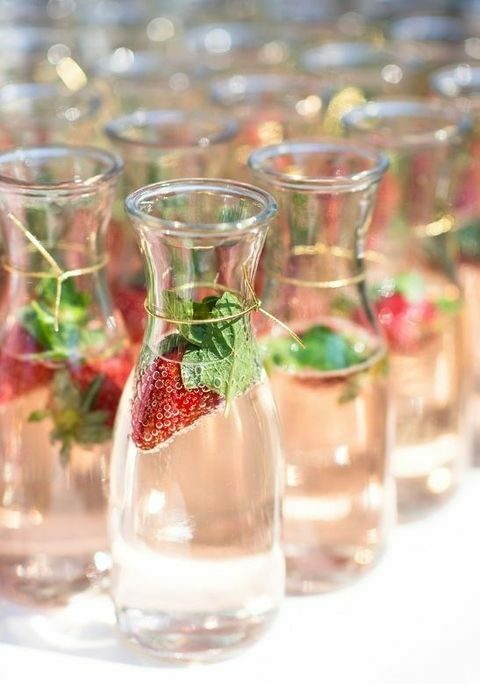 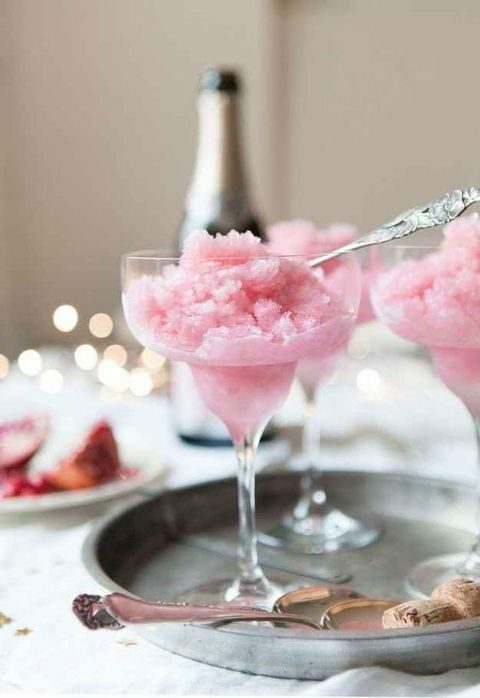 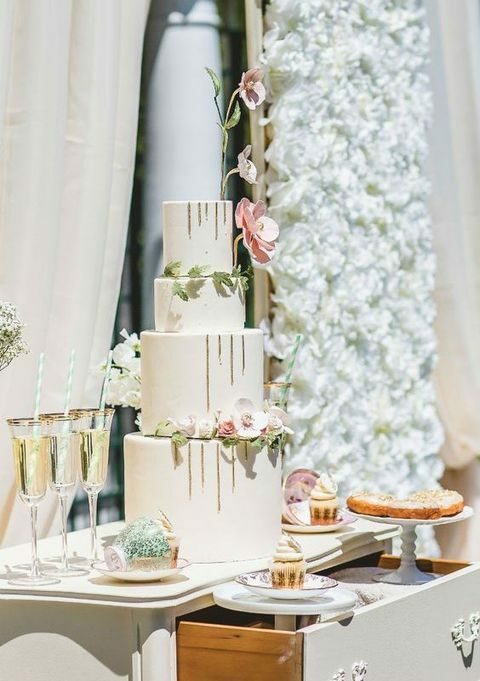 As poolside weddings are usually tropical, make your menu accordingly and pay special attention to cocktails, desserts and fruit. 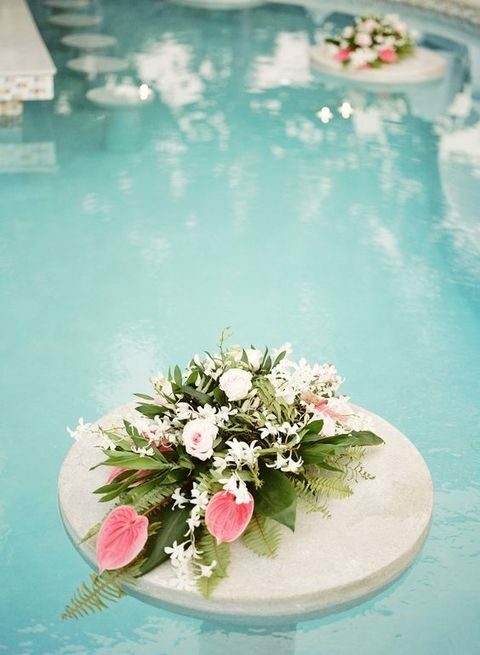 Use bold tropical flowers or go for all-white ones for an elegant flavor and add palm leaves. 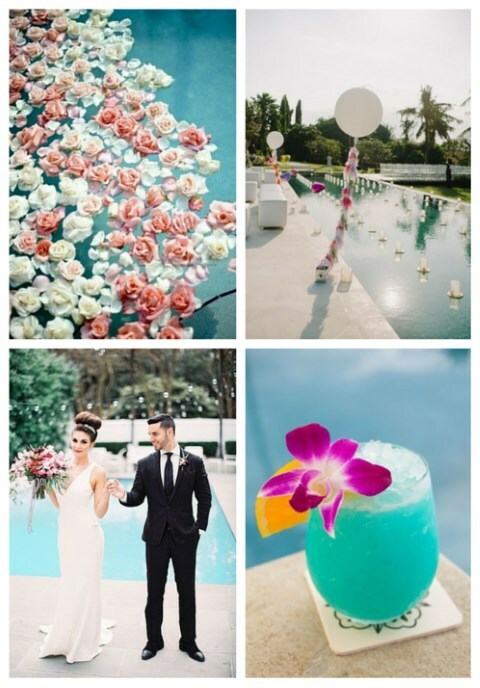 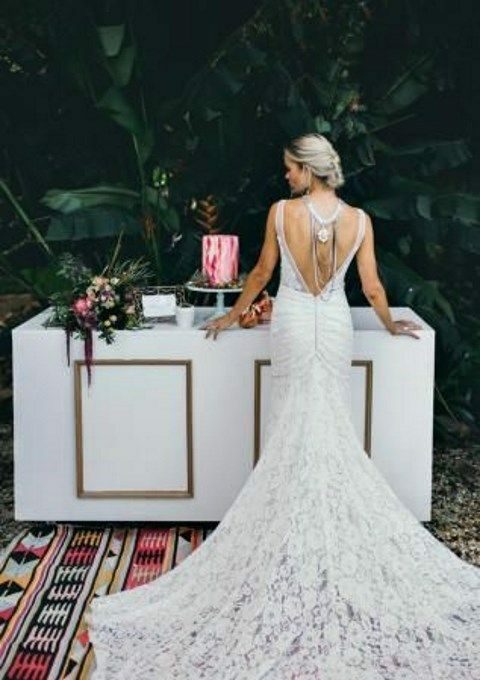 Get inspired by the ideas below and for more tropical wedding ideas look here!